The Motorland Yachting GmbH, BAVARIA’s motorboat dealer for south Germany, Austria and service point for Croatia, has a new owner. Kai Pohatschka, businessman and watersport enthusiast from Frankfurt, takes over the company from Motorland founder Wolfgang Höly. Höly founded Motorland in 1989 and developed it into one of the biggest motorboat dealers in Europe. Beside the headquarter in Mannheim, Motorland Yachting has four offices in Augsburg, Lake Constance, Vienna and Pula (Croatia). 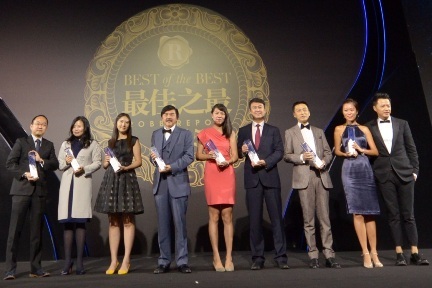 Known as “the Oscar of the Luxury Industry”, the annual Best of Best Award Gala organized by Robb Report China was held at Shanghai Jing An Shangri-La Hotel last September 24th. VIP readers, movie stars, celebrities, artists, top management of international luxury brands in China came from all over China to join Robb Report team and to witness the birth of dozens of new 2015 Best of Best awards, categorized into motorization (for yacht, car, and jet), lifestyle, fashion, and art collectors. All awards are granted to the best brands, products and individuals that contributed most to improve the lifestyle quality of Chinese upscale consumers in the past year. Among them, the brand new Ferretti Yachts 870 “Tai He Ban” Special Edition was awarded as the Best Semi-Customized Yacht. Ferretti Yachts 870 “Tai He Ban” Special Edition was premiered last May at the 2015 Hong Kong Gold Coast Boat Show. After five months, the Best of Best award is another great recognition by the Chinese market to embrace the “Tai He Ban” philosophy, which consists in yachts designed and manufactured by the Group’s shipyard specifically for the Asia Pacific customers. The ‘Tai He Ban’ layout, indeed, embodies the ‘Design Philosophy’ drawing inspiration from the famous Hall of Supreme Harmony, one of the most prestigious and luxurious palaces in Forbidden City of Beijing, where the most important official ceremonies were held in the presence of the Emperor and his dignitaries. This Special Edition, available across the entire brand’s fleet, was introduced to the market at the end of 2013. And in just more than one year’s time a wide part of the Ferretti Yachts’ range have been delivered in Asia Pacific in the “Tai He Ban” Special Edition. Filippetti Yacht announces its distribution in the USA with the head office based in Fort Lauderdale, Florida. Mr. Darren Datson and Ms. Monica Hernandez, partner with longtime friends, Fausto and Giovanni Filippetti to introduce the new Filippetti range of yachts to the USA market. The Filippetti USA team, states that the quality, performance, sea keeping and service will be the main focus in launching the brand. They will be working especially close with clients and brokers that take the same interest and passion they have for the Filippetti product, to launch the brand in the US market. Filippetti Yacht, is a shipyard with a series of ultra-high performance yachts, created by veteran shipbuilder Fausto Filippetti. Fausto is one of the cofounders of Pershing Yachts, a brand that has had a leading role in Italian leisure boating for over thirty years. Fausto's creation, Filippetti Yacht, uses nothing but the best, in every build. Plush interior designs, unique exterior lines, top of the line equipment and engine packages, the latest cutting edge design and technology, are only some examples of what goes into building these yachts. Filippetti Yacht constructs and sells three distinct luxury yacht series: flybridge (F series), sport (S series) and navetta (N series). Providing the yacht enthusiast with yet another high performance option, created by Fausto Filippetti. The new relationship in USA starts well, with a Filippetti F93 (F series) under construction to be delivered summer 2016. This 93 feet is one of a series of sleek performance yachts designed by Fulvio de Simoni and built by a dedicated workforce at the Filippetti yard. Construction of the S65 (S Series) for the US market, will begin in December 2015, for delivery 2016. Luxury brands in the UAE play a valuable role in cementing the country’s growth as a knowledge-exchange hub globally and regionally, says Erwin Bamps, CEO of award-winning shipyard, Gulf Craft. Speaking at the Meetings, Incentives, Conferences and Exhibitions (MICE) Middle East Forum 2015yesterday on Wednesday, 7 October, Bamps said networking “forms the pillar” of MICE events, allowing brands to not only communicate information, but also share experiences. A recent report from Bloomberg this year stated that the GCC MICE segment is currently worth USD 1.3 billion and indicated that it isone of the strongest drivers of growth in the hospitality sector. The UAE accounts for half that amount, generating about USD 653 millionannually, according to Euromonitor International. With a rich history showcasing its range of yachts and leisure boats internationally and in the region, Gulf Craft has a proven track record of making memorable impressions at the world’s most acclaimed yachting and leisure boating events, including the most recent Monaco Yacht Show and the Dubai International Boat Show. Premium brands can add value not only as participants or exhibitors, but also by enhancing the guest experience, according to Bamps. The Middle East’s dynamic economy, growing affluent population, and flourishing waterfront developments make it a promising yachting destination, but Chief Executive of UAE-based shipyard Gulf Craft, Erwin Bamps, says more needs to be done to attract sea travelers to GCC waters. The Middle East is home to the world’s fastest growing Ultra High Net Worth (UHNW) population and wealth, according to the 2014 World Ultra Wealth Report by Wealth-X and UBS. Both have increased by approximately 13 per cent year-on-year, nearly two times the global average, with a total combined wealth of more than USD 995 billion. The same report shows that the region’s UHNW population is expected to grow by approximately 30 per cent between 2014 and 2019 – from an ultra wealthy population of 5,975 to nearly 8,000. Speaking at the recent MARE Forum Monaco Yacht Summit in Monte Carlo, Bamps said the Middle East’s favorable economic environment presents great opportunity for the leisure marine industry. According to the World Ultra Wealth Report, only 3 per cent of the UHNWI population in the UAE has made its wealth through oil, gas, and consumable fuels, and the most significant source of wealth for the country’s affluent population is industrial conglomerates, at more than 20%. And with regional waterfront projects slated for completion over the coming years, including Dubai Maritime City and the Dubai Canal in the UAE, as well as Sabah Al Ahmad Sea City in Kuwait, there will be no shortage of water living experiences for holidaymakers. The challenge, however, lies in making visitors aware about these locations so that the GCCis not only a prominent market for leisure yachting and boating customers, but also a globally recognized destination. In the last 16 years, the number of cruise visitors to the UAE has increased remarkably – from 10,000 in 1998, to half a million in 2014. In addition, tourism is proving to be a key economic pillar in Dubai, posting 14 per cent annual growth, compared with the global average of 9 per cent, according to the United Arab Emirates 2013 Yearbook. However rigorous port procedures for traveling on water between countries still poses a challenge for GCC visitors as the yachting community continues to push for a Schengen-style system that would allow sea travelers to enter any of the six countries with a single visa. With strong order books after confident performances at the Cannes and Southampton boat shows, and currently marking its 50th anniversary, figures published today show that Princess Yachts has successfully weathered one of the most difficult years in its history, significantly outperformed its competitors and is on target for profit in 2015. Despite hurricane-force storms in February 2014 that brought chaos across South-West England and caused millions of pounds-worth of damage to facilities and stock at Princess's Plymouth manufacturing facility, a major programme of investment undertaken by the company will set a new standard for the industry  with six new world-class models launched in the next half-year alone. While other UK builders reported that adverse economic conditions badly affected their businesses, Princess's order book remained buoyant throughout the year. Princess Yachts' results for the year to 31 December 2014 show a loss before tax of £11,343,000 on turnover of £239,630,000  equivalent to a margin of -4.7%. (2013 profits were £4,845,000 on turnover of £239,365,000  equivalent to a margin of 2.0%.) This is considered by the board to have been an especially strong performance in light of the force majeure and its aftermath that affected the business for up to eight months. Indeed, the company was able to meet every order  and even exceed its 2013 turnover  with all manufacturing plans back on schedule by November 2014. Meanwhile, expansion of both M Class and S Class ranges of boats is taking the Princess brand into new markets and sectors, and heralds a resumption of normative profitability in 2015, while even more emphatic growth is projected for 2016. The company is also continuing to work with its insurers towards final settlement of claims arising from the storms. Princess Yachts International, the globally acclaimed Plymouth-based yacht-builder, is marking its 50th anniversary with a new marketing campaign designed to bring to life its "Experience the Exceptional" brand platform. Premiered at the Cannes Yachting Festival in September as part of the company's 50th anniversary celebrations, Experience the Exceptional will be at the heart of every aspect of Princess' communication in 2015 and beyond. It was created to reflect Princess' peerless standards of manufacturing and its unwavering commitment to the very best of British design, craftsmanship and materials. Princess' status as the ultimate marque of British luxury springs from half a century of extraordinary achievement at its headquarters in Plymouth and across its manufacturing and development sites in Devon, where every yacht in the expanding range continues to be built. 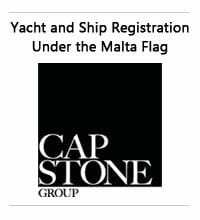 As much a declaration of the company's future as an acknowledgement of its distinguished history, Experience the Exceptional captures the spirit of a yacht-builder that never stands still, and is always driving the industry forward  whether through the latest engineering, innovation, technology and techniques, or customer service that is unsurpassed. Starting with new V Class, S Class and M Class products unveiled at the Autumn shows, Princess will launch a total of six new models for the Princess fleet within a six month period, keeping order books more buoyant than at any other time in recent years. Meanwhile, Princess' global website has been completely redesigned to reflect the Experience the Exceptional positioning, and its adaptive, responsive content platform, driven by a 200% increase in visitation from mobile devices, is now live. Experience the Exceptional is becoming woven into all the company's marketing activity heralded by a new look for Princess marketing collateral that was premiered at Cannes. Illustrator Jaume Vilardell brilliantly captured the glamour and excitement of mid-60s style  inspired by the Riviera spirit of Slim Aarons for a series of new visuals that stunningly expressed the founding vision of Princess for a fresh generation of customers and fans. Sea Ray has been recognized for excellence in customer satisfaction for the 11th year in a row, earning four 2015 Customer Satisfaction Index (CSI) Awards from the National Marine Manufacturers Association (NMMA) and bringing the company’s total to an unprecedented 63 CSI Awards. As announced by the NMMA during the recent 2015 International BoatBuilders Exhibition and Conference (IBEX), Sea Ray’s newest awards came in the following four categories: Deck Boats, Inboard Express Cruisers, Sterndrive Bowrider Boats, and Fiberglass Outboard Boats. Sea Ray’s wide-ranging portfolio delivers the ultimate on-water experience for every style of boater, and the CSI Award is further affirmation of the brand’s continued leadership in the powerboat field. Sea Ray has earned accolades from the industry’s toughest critics and in the most stringent rankings, including those of J.D. 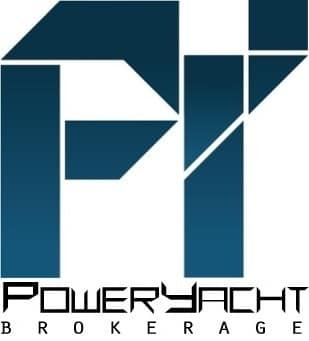 Power, the NMMA, the AIM Media Group and Boating Industry. Although Volvo Penta and Tiara had worked together prior to 2005, their relationship blossomed with the launch of Volvo Penta IPS. As an early adopter, Tiara realized immediately that the future of boating lay in the revolutionary pod propulsion system a unique alternative to the traditional shaft drive that offered unparalleled benefits. With this in mind, Tiara developed the Sovran 43 to coincide with the launch of Volvo Penta IPS. 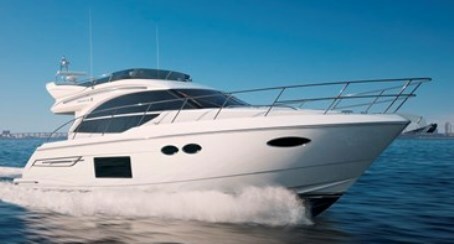 It became an instant hit and Tiara sold more than 30 Sovran 43 units, installed with twin Volvo Penta IPS500, on the opening day of the 2005 Miami Boat Show. The Sovran 43 still stands as one of the company’s most successful product launches to date. In the years leading up to these two milestone releases, Volvo Penta invited a select group of customers, including Tiara, to its Krossholmen Test Center in Gothenburg to trial the latest innovation and offer feedback. Consisting of forward-facing, counter-rotating Duoprop propellers, the original design of Volvo Penta IPS was like nothing the industry had seen before. Emissions were reduced instantly: directing the boat’s exhausts underwater and away from the boat created an odor-free ride, and the lack of long shafts and hull-mounted struts helped reduce overall noise level. The compact design reduced the engine room’s size, adding more space to the staterooms and living areas. In addition, handling and maneuvering were precise and responsive thanks to the system’s joystick driving. Fuel consumption in the original Inboard Performance System was also greatly reduced, and the boat could achieve higher top speeds and faster acceleration, in comparison to traditional shaft drives. The 50 boat fleet at the recent San Juan International Billfish Tournament was comprised of almost 200 of the finest fishermen drawn from six countries. Amongst those battling for the big one was Carlos Ramirez and his Viking 60 Reel Affair. 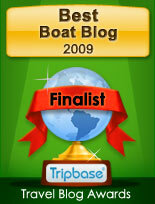 Reel Affair rose to the top of the leader board with four blue marlin releases which awarded Carlos Second Place Boat. Reel Affair angler Alberto Serra earned the title of Second Place Angler. Right on their heels was Rafael Marti's Viking 53 Pez Piedra. The Pez Piedra crew released three blue marlin for Third Place Boat. The smiles were contagious at the Viking Employee Appreciation Clambake held in a mid October weekend on a picture perfect autumn day. Masterminded by the Human Resources Department, the Plant Engineering crew put in plenty of elbow grease to ensure that all the guests had a family fun day to remember. Every department pitched in to show the mutual respect, appreciation and camaraderie for fellow co-workers. Building a better boat every day is no easy task, and a lot of maintaining Viking mantra is attributable to it’s plant and how it functions to get the boats built. This explains why visitors to the plant often notice renovations and projects underway while they are touring the facility. Our latest addition fills the gap between Buildings 1 (offices, metal shop, R and D, health services), 2N (production lines 1 and 2), and 3 (the wood mill). This new renovation to the plant will be completed soon, and will provide a climate-controlled 11,250 square feet of indoor space, specifically for the enhancement of the R and D efforts for developing new Viking yacht models. The 75 by 150 foot area will be fitted with a pair of computer operated 10 ton bridge cranes to provide flexibility and security when pulling large hull and deck molds. The electrically powered 35 foot wide by 30 foot tall exterior door is large enough to allow a Travelift to enter the building to assist in moving major parts. Other notable features include large window lines for natural lighting, a radiant heated concrete floor, an upper mezzanine area for Viking's Viglass fiberglass department, and a pathway on the main level from the wood mill into the production line areas. Earlier this year, Earle Hall hooked the Big Rock Blue Marlin Tournament's winning fish on the Viking 62 less than 20 minutes after lines went in the water. Captained by Viking's Brian Komer, Earle's monster 680 pound blue marlin, one of the event's largest in this century, kept the top spot on the leaderboard for all six days bringing a solid victory to the Bluewater Viking team. Recently, this noteworthy catch also contributed to the esteemed honor of having Governor Pat McCrory present the Bluewater Viking Team with the 2015 North Carolina Governor's Cup Largest Blue Marlin award, in addition to the 2015 series' Largest Dolphin award, caught by Pat Healey during the Pirate's Cove Billfish Tournament. The North Carolina Governor's Cup Billfishing Conservation Series is an annual sportfishing series with eight major billfish tournaments held along the Tar Heel coast. The Series, managed by the Division of Marine Fisheries, promotes conservation, protection and preservation of marine resources. 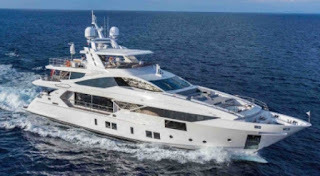 Wider Yachts USA recently appointed Technomarine Yachts as their South Florida exclusive authorized independent sales representatives for the Wider Express Cruiser Division. The Wider Superyacht Division range of yachts from 125 to 165' will remain factory direct. Technomarine will have the territories in Florida from St. Lucie to Miami-Dade counties with the exception of Broward County, in which Wider Yachts USA is located. Wider, an established brand in the U.S. and worldwide markets, with a very experienced management team led by Wider Yachts USA president Darren Datson, is expanding its presence in the USA. Technomarine Yachts formally Freedom Marine, is the yacht sales and charter division for the Techonomarine group, a company whose core business is the construction of luxury marinas throughout the world. The philosophy and vision at Technomarine yachts stems from President and managing partner Dennis Close, a long time veteran to the marine industry who has served in a variety of executive roles over the last 15 years with companies such as Rybovich, Cabo Yachts and Brunswick Corporation, among others. Technomarine Yachts is currently based in Old Port Cove Marina in North Palm Beach, with additional sales locations in Miami at Island Gardens at Deep Harbour, which is set to be one of the largest mega-yacht marinas on the east coast of the United States. Others areas include: West Coast of Florida. Further developments are expected as there are ongoing negotiations to expand the coverage area for Wider Yachts USA in the U.S. as Technomarine continues their expansion. 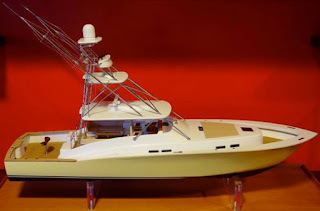 Jim Smith is currently building a fully custom hull number 31, the 60 Walkaround express model. The 60 Walkaround is being build in cold molding epoxy, resin and glass-fiber in the more modern Jig method. Information is a bit sparse on this totally custom build by Jim Smith but the 60 Walkaround surprises for having a huge hard top covered central cockpit, and for adding some cruiser amenities see sun pad on the fore deck. Launching is expected in the early part of 2016. Riva has been one of the most active brands in the Ferretti Group in recent times, with designers Officina Italiana releasing three new models for 2015. Announced as the 76 Coupe in the first part of 2015, the model was given its Perseo name during its launch ceremony in September. The 76 Perseo is a sport yacht with a bridge deck up top reserved for entertainment purposes, and a taunt to 56 Sportriva owners. Access to the bridge is from a staircase to port-side and this will offer an aft sun-pad, and a C-shaped settee forward. The main deck will be an area totally reserved for entertainment and lounging with an L-shaped dinette to starboard, dining table for six to port, and helm station. Galley is located below decks in an enclosed room to starboard. Three guest cabins are located below with a huge owners cabin located at midships. A crew cabin with two bunk berths is located at midships in between the engine-room and owners room. Power comes from twin MAN 1800hp with top speeds up to 37 knots. Zurn Yacht Design is pleased to announce the restyling of the New England Boatworks 50, a semi-custom built vessel that combines the leading edge work of yacht designer Doug Zurn and masterful construction techniques. First launched in 2013 as a custom commuter boat, the New England Boatworks 50 focuses on owner-tailored specifications, while maintaining its iconic down East design, modern marine engineering, and composite hull construction. As a true high performance cruiser, the lightweight hull, ease of maneuvering, and the optional Man 1550 hp diesel engines makes the New England Boatworks 50 one of the fastest day boats of its type, with a top speed of 60 knots. Ideal for in-port use as a cruiser, the boat is also well suited for covering long distances quickly, whether in the Mediterranean, among the islands of the Caribbean, or along the coast of Maine and farther afield. The New England Boatworks 50 is offered standard with twin MAN 1,200 hp diesels and Rolls Royce jet drives. It cruises comfortably at 40 knots, reaching 50 knots incorporating the latest integrated ride control technology to insure ease of maneuvering. The hull and deck is built using high-tech, epoxy resin infused composite construction, a technique that New England Boatworks is revered for in the marine industry. Even with the open Pilot House and engine boxes in the deck, the 50 is a noticeably quiet ride with low sound levels at the helm at cruise, thanks to the Marine Exhaust inline silencers and extensive noise and vibration treatments by Soundown. 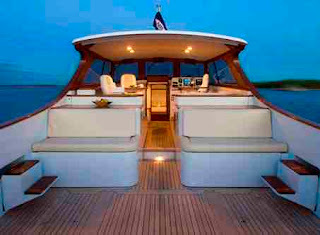 A tour of the boat begins in the large, teak deck cockpit, easily accessed through the transom door or over the sides that include a concealed fold-down step. Removable port and starboard cockpit day beds allow space for swimming and activities in the daytime, and later transforms into elegant seating for a sunset cruise or cocktail party. Raised platforms in the pilot house offer space for a desk work station, and settees or chair seating with teak table and beverage fridge perfect for informal meetings and socializing. Large windscreens and side windows give a wide view for enjoying the scene and for safe navigation and maneuvering. The helm station provides easy, intuitive access to control panels and navigation tools from the comfortable Stidd seating. Below deck is found a rich interior that offers both simplicity and luxury, with ease of movement throughout. 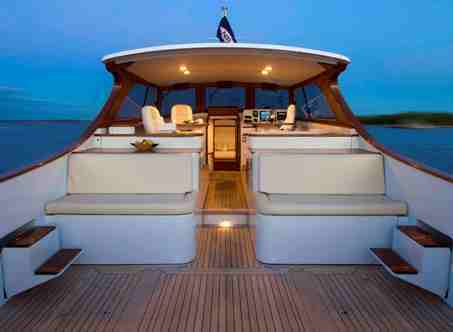 Joinery is meticulously crafted, with framed panel doors, teak sole, and wood lining the hull. The interior arrangement is built to suit the owner. Options include an L or C-shaped galley, and twin bunk cabin or settee dinette area. The single head includes a separate shower. The master cabin is located forward, sporting a queen-sized island-berth, cedar lined lockers, and ample storage. With production tooling available and construction time placed at ten months, this is a great time to consider the Zurn 50 a true lifestyle boat with a strong sense of purpose. Launched in the final part of Summer 2015 the new Fairline 53 Targa GT is a boat filled with expectations and weight, before and and after its official presentation in Southampton. Based on the 50 Targa GT, the 53 is the boat to take Fairline out of its recent decline, and become a prime model in its size. It will be interesting to see if we can say it did so in a couple of years. The 50 Targa was filled with the same hope, and saw Fairline opting at the time for an owners forward room against the more desired full beam midships layout. 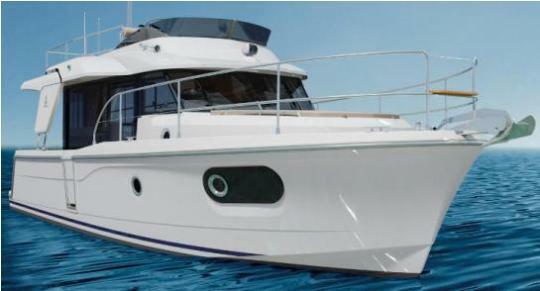 The 53 goes back to recent basics and its interior layout will feature the full beam midships owners cabins. The 53 also features a couple of interesting options from a galley up astern or down choice, to a day head option below. Power for the 53 Targa GT will come from twin Volvo 675hp and 725hp units with line shaft propulsion. 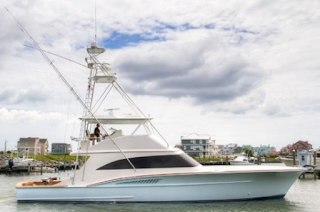 As with any large Viking above sixty feet, the current premier sportfish builder following the launch of it's 80 Sportfish Convertible presents the project of an Enclosed Bridge version. Similar to it's sister in nearly all areas the 80 EB will have the benefit of the Enclosed Pilot House on top of the main deck. Entrance to the Enclosed Bridge will be from an internal spiral staircase to starboard. The layout up top will offer a forward central helm, L-shaped dinette to port side, and two side companion seats. To aft outside of the bridge will be a bench settee to port side, while to starboard will be a small mooring station. Starting with the MCY76 just five years ago, the Beneteau Group premiere motor yacht range Monte Carlo has since then extended to five models, and now presents its new flagship the MCY105. As all the range the new flagship is a design from the Italians Nuvolari Lenard, who extend the family feeling of all the smaller models into a new larger dimension. 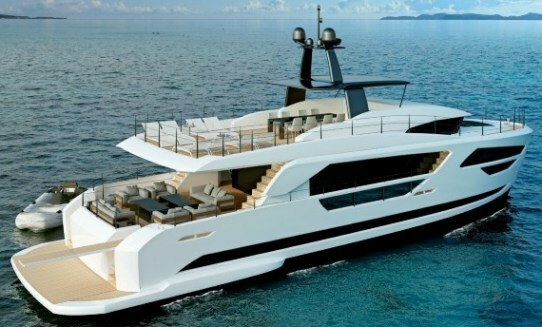 The Venice designers showcase a two and half deck raised pilot house planning super yacht, which features among the larger flybridge in this size. Two different accommodation layouts are available for the MCY105 offering four or five double cabins. Owners stateroom is located on the forward part of the main deck. A crew area is located at midships and this offers three cabins plus a galley and L-shape dinette. Power comes from twin MTU 2186hp or 2400hp. 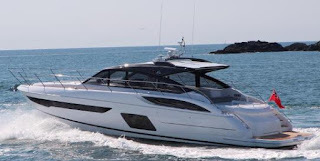 Tiara continue to expand its Coupe range and after the introduction of the 50 and 44, looks into integrating a more economic to purchase due to the smaller size twelve meter sized 39 model. The project of the 39 Coupe synthesizes what the larger sisters stand in a slightly smaller package. Indeed just as the 44 and 50, the 39 Coupe will be powered by IPS pod drives, and will also offer two separate double cabins below decks. The main deck will also be similar to what the larger sisters offer with living all located on the main deck; L-shaped saloon to port side, helm and galley to starboard. Standard power will offer twin Volvo 370hp diesel engines, with IPS pod drives. Galeon's continues to expand its entry level 300 series line up with the launch of the new 310 HTC, the sports sister to the 300 Fly. and 305 HTS models. Apart using the same hull as the other 300 models, Galeon and designer Roberto Curto in the 310 present an all weather coupe sport cruiser with a main deck layout which can be used fully enclosed or open depending on the weather and an owner needs. Similar on the exterior to the 305 HTS, the 310 HTC differs mostly on the layout of the main deck feature a standard aft settee main deck, and a divided patio door enclosed saloon which offers a C-shaped dinette to port-side, and helm station with galley behind to starboard. Lower deck cabin access is located centrally with the below accommodations offering two cabins sleeping four in two cabins; at midships and to fore with a shower head located to starboard. Power comes from single engines choices starting at 260hp and goes up to twin 260hp units. 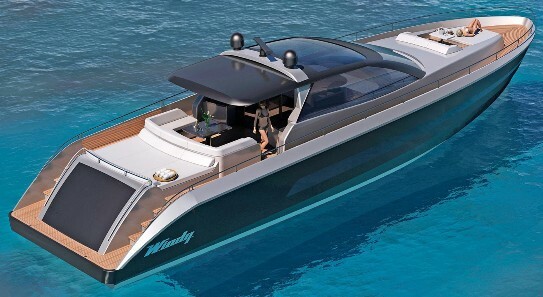 The Windy Twenty Two concept project is designed by the Dubois studio to emphasize the outdoors, with lots of cockpit seating, open deck spaces, fold–down bulwarks aft, a drop-down transom for swimmers, and extra seating and sunbathing space on the fore-deck. The hull is of a deep Vee mono-hedron construction for good offshore performance and the fixtures and fittings on the boat are all of superior quality. Sliding cockpit doors and a hardtop with a large opening sunroof shelter a small deck saloon, from which a curved companionway leads down into a private lower saloon which has skylights, a large TV and daybed, and a small dinette. There is also a galley aft alongside a twin-berth cabin, and a spacious VIP suite forward. The interior is by the British studio Design Unlimited. With three powerful engine options available, and a choice of jet drives, surface drive or Volvo IPS pod drives, the Twenty Two promises high performance, while a 24-degree deep vee hull by Hans Jørgen Johnsen guarantees the exemplary handling and sea keeping for which Windy is renowned. In the middle of Summer Cranchi launched its new Sixty Fly model. As we advised in our project article the Sixty is an evolution of the 58, with changes occurring in all areas of the boat including main and lower deck. Outside the visible difference is the large side glass window to the hull side of the 60 Fly. Inside the most distinctive change is that of the galley, now located to port side of the central main deck helm station. The galley is larger to that of the 58, but also goes against recent trends of putting it astern. Power will come from twin Volvo 625hp or optional larger 725hp twin engines. Spacious volumes characterize the new aluminium Baglietto 43 m Fast yacht. This new model in the fast line marks Baglietto’s new era following its acquisition by the Gavio Group and inaugurates the range of new Fast crafts designed by Mr Paszkowski. While preserving the sleek and aggressive lines that have always been a distinctive feature of Baglietto planing crafts, this project distinguishes itself for a new style. The leitmotiv across the entire yacht are brightness and a focus on conviviality: from the large skylights in the ceiling panel in the entrance on the main deck to the dining room, which – thanks to a mobile partition can be connected to the galley and the dinette, creating one single open space ensuring a wonderful convivial atmosphere. The night area is entirely located on the lower deck, where the aft full-beam master cabin stands out for its wide spaces and large glazing, ensuring an impressive brightness at all times. The fore outdoor area is extremely innovative: conceived as a living area, it includes a huge sunbathing area offering a magnificent view and, at the extreme bow, a heated Jacuzzi. The aft cockpit has been fitted with a modern system of canopies allowing to close the entire area, thereby ensuring the utmost privacy. A soft and stylish atmosphere is guaranteed by the natural teak and the lining and paneling, characterized by a skillful combination of different materials in a chessboard pattern. Last generation technologies and solutions can also be found in the wheelhouse and the engine room. Innovative materials have been used in particular for the latter, where twin MTU 4615hp engines are installed, capable of pushing the yacht to a cruising speed of 28 knots. Besides this 43 m yacht, by the end of this year Baglietto will also launch another 46 m Fast. The planing range will be completed by an entry-level model, 38 meters in length. All yachts in Baglietto’s steel and aluminium displacement line share the same family feeling, stylistic features, and distinctive elements: all hulls in this line can boast a long history of tested reliability and excellence in terms of seaworthiness and sea-keeping quality. 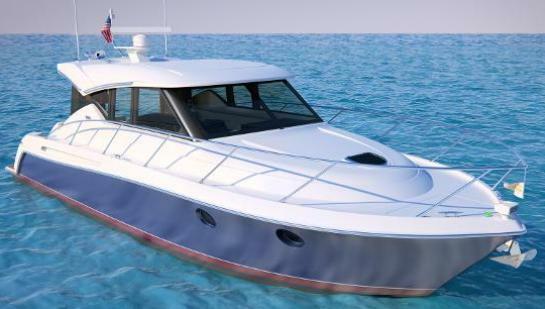 Renowned Italian boat builder Fiart updates its website to a new version, the last update coming in 2012. Fiart is one of the long standing players of the Italian boating industry for medium sizes. Founded in Naples in 1960, Fiart has to its credit the building of the first fiberglass boat the 3.6 meter 'Conchita' in Europe. In its first five decades up till 2010 Fiart has produced 138 different models of boats; with the most long stretching being the Fiart 35, 35 and 36 Genius run which lasted over fifteen years. Today the Neapolitan firm continues with its success, producing distinctive six sport cruisers and yachts having a very harmonic modern classic mix design, a cockpit which is always among the most spacious for the size of boat offered, and an interior stretching for more family based layouts, meaning putting a higher number of cabins. Fiart's current range starts with the 33 Seawalker, and goes up to the 2012 launched 58 Epica. Fiart's latest new model is this year launched 4T Genius. The new Fiart web showroom is available in Italian, and English languages and takes you around with the following buttons; Intro, Company, Models, Heritage, Service, Brand Representatives, News and Press, and Contacts. Fiart is also found on the social network hubs with buttons on the right bottom corner for the official Facebook, Twitter, and Youtube page. Benetti 125 Vivace second model of the Fast Displacement series made its debut at the Cannes boat show in early September. Vivace 125 joins the flagship of the Class Fast Displacement line, the 140 Veloce, and takes inspiration from its forerunners construction technology, stylistic features, and spatial layout. Benetti Class Vivace 125 is a composite and carbon construction yacht built at the Viareggio boatyard; measuring just over 38 meters and featuring a semi-wide body with three decks plus sun deck. Much like its bigger sister, Stefano Righini has designed the F-125 with a sporty exterior employing generous amounts of horizontal windows to accentuate the sleek lines; its hallmark is a large central design element at the sides enclosing the upper deck stair. The interior layout is articulated in 4 suites for 8 guests and the owner's apartments forward on the main deck, at full beam. The captain plus a crew of 7 is available to see to all the guest's needs. Thanks to an exclusive agreement, 125 Vivace is equipped with an innovative series of azipod transmissions expressly designed by Rolls-Royce for Benetti: carbon Azipull 65C pods. The D2P Displacement Planing hull equipped with wave piercer was perfected by Benetti technicians for the Rolls-Royce propulsion pod by optimising all the stern tunnel thrusters and those elements impacting hydrodynamic coefficients. The result is an even greater improvement of the already enhanced propulsion efficiency of the pod drives. The D2P hull with wave piercer enables the new Fast Displacement series to reach higher speeds without engine strain, or to cruise in displacement mode at an economical speed with a much greater range. Princess finally decide to fill the long standing vacuum between the 43 and 52 model, with the project of a new IPS propelled 49 flybridge cruiser. Going against the rumors the 49 will feature a new hull, and is not based on the V48. Wider, longer and heavier by a no slouch five tons are the three words which you have to look when comparing the specification of the 49 with that of the V48. The interior layout of the 49 goes on to follow all the latest trends; L-shaped astern galley, and a three cabin lower deck with a full beam midships located owners room. The engine and propulsion set up of the new Princess is also very interesting, and while the new 49 will use the latest Volvo 550hp IPS pod drive combination, power plants located at midships marks also an attention to weight distribution which will serve well while cruising. Sea Ray is proud to introduce the new 400 Sundancer, featuring a fresh and exciting design coming from the big sisters of the large yacht L-class range. The 400 Sundancer will make its official debut in November at the Fort Lauderdale boat show. Entertainment comes naturally on-board the 400 Sundancer, with an open floor plan main deck that creates generous, connected social zones throughout the boat. The spacious and airy salon features large windows and a power-actuated sunroof that lets in abundant natural light. Plush seating, including an L-shaped lounge, accommodates up to eight people, and a triple-pane entry door and retractable cockpit SureShade extend the entertainment space outdoors. The bow lounge brings comfort to a new level as well, with multi-position sun-pads and an optional shade system for all-day comfort. The living area below opens to two full-beam staterooms. The master stateroom comes with an expansive closet system, or an optional second head and shower. The aft stateroom sleeps three and features a settee and sliding bunks that convert to a double bed when preferred. Richer materials and finishes from elegant hardwood floors to smooth solid surface counter-tops enhance the aesthetics and comfort of all interior spaces. 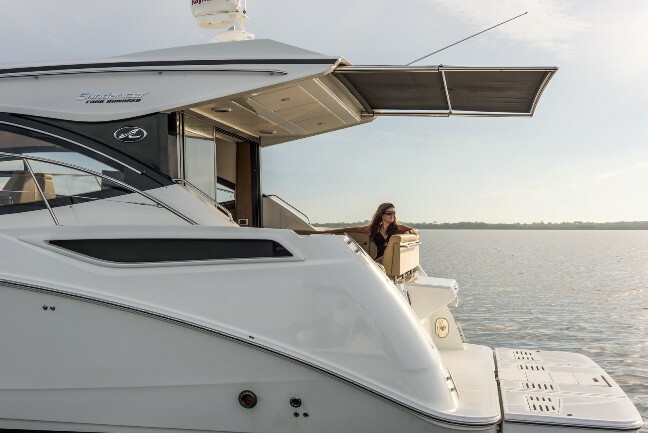 The galley area is sleek and luxurious, with high-end appliances and plentiful storage, and the cleanly designed helm station features joystick control from the double-wide helm seat. Aft, the 400 Sundancer’s optional hydraulic swim platform features innovative self-deploying boarding steps that allow for effortless interaction with the water. As is usual with Palm Beach motor yachts from down under Australia, the builder presents a Flybridge version of its latest model, the PB52. Flexibility is key to this latest Palm Beach traditional yacht, available with both IPS or shaft line propulsion, and three layouts for both the lower and upper deck with two or three cabin options. The PB 52 Flybridge will have a sport-fishing style helm at the back of the flybridge with entertainment areas located at the forward part. Adding tradition to the part the PB52 will also feature a central mast as a radar arch. Terranova Yachts returns to production and presents its new World wide web showroom. Founded in 2000, Terranova is a builder focused on semi displacement ship like explorer type yachts. Massimigliano Zilioli is the new CEO, himself a boat owner for over twenty years. Showing its Italian routes the brand is now renamed as Terranova Italian Yachts. The current three model line up; 68, 85 project, and 115 flagship will be built in Pisa and Viareggio. Terranova new website is available in Italian and English language language and takes you around with the following buttons; Home, About Us, 115 Yacht, 85 Yacht, 68 Yacht, and Contacts. Horizon is pleased to announce the FD85 fast displacement motoryacht as a new model to the company’s luxury yacht line-up. Developed by renowned yacht designer Cor D. Rover and Horizon’s in-house naval architecture team, the FD85 features a vertical bow design, which has been tested with Computational Fluid Dynamics; that not only offers the desired fast displacement performance criteria but also increased hull volume for 25% more spacious living spaces, including a five guest stateroom layout. Built with twin Cat 1136hp engines, the new Horizon FD85 performs high efficiency from a slow cruise of 10 knots to a faster cruise of 16 knots, ensuring a more comfortable and versatile use of operating speeds. The FD85 has just completed one of her main construction stages, joining the hull and superstructure, and is scheduled to debut at the 2016 Taiwan International Boat Show in March. The new Horizon FD85 provides five en suite guest staterooms; a full-beam master stateroom on deck and two mirrored VIP queen staterooms as well as two twin guest staterooms below deck. Crew quarters are found just forward of the engine room. The main salon and formal dining room incorporate sections of floor-to-ceiling glass windows, a design feature that is carried into the Master stateroom as well and dramatically increases natural light in these areas. In the FD85’s pilothouse, a large windshield also adds natural light and maximizes visibility; however Low-E glass is utilized to reduce the amount of heat entering the yacht, and the windshield’s forward-angle design minimizes reflections on the navigational instruments. Horizon focused on both function and entertaining when designing the FD85’s outdoor spaces. An abundance of aft deck space incorporates built-in and loose seating as well as accessibility to the raised foredeck from the starboard side deck; the twin staircases from the aft deck to the flybridge provide a stylish design feature that is also practical. Crew quarters are reachable from a staircase on the port aft deck and from the swim platform. On the flybridge, the FD85 offers an outdoor helm, full bar, two adjacent L-shaped dinettes, space for sunbathing, and a hot tub ideal for enjoying the outdoors; an interior helm is connected to the flybridge for easy transition between helms. The Horizon FD85 fast displacement blends contemporary interior and exterior styling and functional design with flexible performance capabilities, ensuring this new yacht will successfully compete in today’s multi-faceted yacht market. Founded in 2001 in Maryland, Titan Custom Yachts has recently launched a new 64 model, which aims to emulate the success of the 62 sold in four units. A rare thing for a full custom builder to follow up on a model. As in any custom Sportfish yacht speed is paramount, and the 64, latest creation by Titan does not disappoint and twin Caterpillar 1925hp engines enable it to reach a 42 knot top speed and 36 cruise. Unlike other custom builds which are usually cold molded, the Titan 64 is a fiberglass build, and combined with its smooth riding hull it will also offer gyro stabilizing. Her interior will be a super plush three double cabins and heads interior, and a main deck offering the usual sportfish layout of a combined galley, dinette, and saloon. Meetings with clients and owners have led Storm yachts to the development of a new project at the lower end of it's production size range: the X-44. From a distance this project is clearly identifiable as true Storm yachts, and even with a limited hull length of just over thirteen meters, the model will still offer everything that makes the brand unique in the market. The X-44 supplements the range in the shortest length. With strong lines and a masculine appearance, it is an eye-catching day cruiser. Yet, as applies to all Storm, noblesse oblige! The combination of the FDHF hull with Volvo IPS pod propulsion system ensures a superior performance and optimal maneuverability, comfort and ease of operation for a premium boating experience. Salpa went to the 2015 Cannes boat show with an important new surprise model, that of the new 38x Laver. Returning from the past is the famous Laver signature, famous for the 30 model from the early eighties designed by Italian deep-Vee hull legends and gurus Sonny Levi and Franco Harrauer. It will be interesting how much of that design is actually going into the 38x hull, but the bow as the picture above is all classic Laver style. I am sure more interesting for many will be the deep Vee underwater shape, which Salpa although not making use of the designers themselves has always made good use of. The 38x is also in its size a big challenge to the competition, with a couple important features being not only interesting for a sport cruiser of eleven meters, but also rare to find as the flat floor on the main deck, and a second head serving the guest cabin at midships. The Laver 38x is powered by twin Volvo 300hp with stern drives. Duffield who owns the renowned Duffy Electric Boat Co., instructed renowned designer Zurn with a vision of improving on an iconic West Coast trawler. A native of Newport Beach, CA, Duffield wanted to offer quiet efficiency and energy conservation and when he called on yacht designer Doug Zurn for his thoughts, the Duffield 58 Trawler was the result. Duffield's 58 Trawler will incorporate the West Coast style with interior decks that offer an all around view, combined with a traditionally styled hull structure. With a relatively narrow waterline beam of less to five meters, and a single Caterpillar 800hp engine set aft away from the living space, the Duffield 58 will offer the ideal, quiet ride. The explorer yacht will be a nod to that easy-going Southern California boating lifestyle, easily owner-operated and of a manageable size. Innovation is also a key factor, as Duffield Yachts is incorporating a low cost, easy maintenance alternative to conventional systems, ensuring that the 58 Trawler will require less repairs over time. Along with its universal appeal, the vessel is designed with a precision and an eye toward power and durability, ensuring sea-kindliness and fuel efficient when cruising far afield. The 58 Trawler will stand out for its speed and fuel economy, adept and agile, it can also poke into almost any cove or shallow bay, while its cruising speed of 16 to 24 knots makes daylong, weekend or long term voyages easy to plan and execute. The interior of the 58 Trawler will be all LED lit and centers around the open-plan galley and sitting area on the main deck. The nearby master stateroom is comfortably situated forward, with a queen size berth and en-suite head and shower. The VIP stateroom also has it’s en-suite head and shower, accessible by guests and third crew/children stateroom occupants for day use. Hull ports draw in abundant natural light and ventilation, with a focus on ease of movement and comfort. Tiara has in recent years took itself into new product ranges, first with the Down-East lobster boat inspired Coupe series, and now this, the Q44 which is a big walk around style day cruiser offering overnight accommodation for four. Nonetheless the Q44 is all about comfort outside and in contact with water, an innovative product Stateside, but of which we have seen of similar concept in Italy as the Blue Game range of boats. Based on the 44 Coupe hull, the Q44 is an interesting all season adventure cruiser, which brings new meaning to the term outside space in thirteen meters with three lounging areas available; aft, midships and bow all being easily connected and reachable thanks to the safety of the walk-around side decks. Powered by twin Volvo 435hp the Q44 has a top speed of 32 knots, with a cruise of 27. During the eighties the Corsaro word made many heads turn around in a marina, as it was the model flagship name of one very admired boat builder Riva at the time standing at sixty feet in length. Now in 2015 and headed by the Ferretti Group, Riva return this name from its history books and present the new 100 Corsaro project. 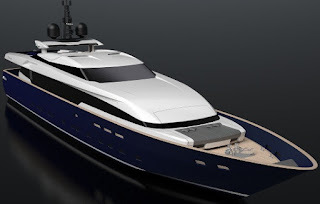 For the new Corsaro Officina Italiana design of Micheli and Beretta went for a raised pilot house semi wide body project which impress for space inside but also seems to feature a rather high free board. Unfortunately for the traditionalists the new Corsaro gives no homage to the old flagship. Impressive in the new 100 Corsaro will be the main deck with fore located owners stateroom which will be of huge spaces. Below deck will also be accommodation for four other guest cabins, and three crew cabins accommodating five berths located forward. Power of the 100 Corsaro will come from twin 2435hp MTU engines with top speeds estimates of 27 knots. Just before the 2015 Southampton boat show, Princess launch the very nice looking V58 Open, a sport yacht which goes back to basics offering an open style main deck design, with a large aft sun-pad. A closed deck saloon version with patio doors should be launched later on, this replacing the current V57 on which this model is for the most part based. 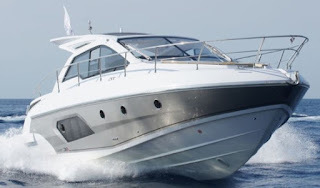 The V58 Open presents itself as a very sleek looking sport yacht with a three double cabin two head interior, this including a full beam midships located owners stateroom. A VIP suite forward, and a smallish third cabin with bunk complete the lower deck overnight accommodation plan. An optional single berth crew cabin located aft can also be fitted out. Tender stowage will be in a garage under the aft sun-pad, and on the lift bathing platform aft. Power will come from twin Volvo 800 or 900hp engines with line shaft propulsion. Beneteau presents the project for a new baby 30 Swift Trawler, the smallest of the latest generation of explorer type cruisers designed by the giant French boat builder. Cut out for high seas, the 30 Swift Trawler is surprisingly comfortable and her autonomy and many fittings are reassuring, making life on board much easier. With a clear-cut combination of style and seaworthiness, you will be tempted by the energy performance of this voyager. With hand rails omnipresent, high pulpits and a large well-protected starboard walkway, the 30 Swift Trawler maximizes the safety of movements on board. Unique on this type of boat, the panoramic view from the steering station makes for easy driving unobstructed by any obstacle. With an autonomy of around 200 nautical miles at cruising speed and large water tank capacities, the 30 Swift Trawler will take you to places where no other craft of a similar size would dare venture. Designed for a comfortable lifestyle on board, bright but also simple and practical, the 30 Swift Trawler provides multiple modular fittings. The interior space is optimized reflecting the large open spaces you will be bound to explore. The cockpit opens onto the sea in the form of a terrace, with foldaway seats, a convertible sofa, and a well-designed table sliding beneath the seats to increase the amount of space in this reception area, and suiting all crew configurations. One or two cabins layouts are offered below deck. While engine options start from a single 300 or optional 370hp unit. 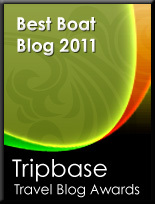 Unlike previous recent years the start of the production year seemed to be a very positive one for many boat builders. Most big brands went to Cannes with there accounts all on a positive mood showing the growing results they achieved so far. And the outlook indeed looks better. The market is looking good and the big companies are all starting to get an important feel and can now plan ahead. It looked as of though we are ten years ago, when the outlook was all but positive. The results are speaking very good for the most. Ferretti Group was all into growing mode, with brands Riva, Ferretti and Pershing all doing very well. The Group has a project of unveiling thirty new models in the next two years, but brands Itama and Mochi do not seem mentioned in this. Azimut-Benetti had another growing year. Absolute advised its 2016 production is nearly sold out. Sunseeker said it ninety feet plus is doing excellent, but no news of its smaller models accept for the success the 57 Predator is enjoying. Princess did not say much but did present some interesting projects for some coming new models. Beneteau Group advised again it is growing, and that finally sales for Europe are coming back to pre-recession levels with forecast that Italy will be topping the charts up in the years to come. The bad news came in recent days from Fairline with its current equity owner Better Capital deciding to pull out from the business, and just yesterday selling out to another investor. It will be interesting where Fairline will move from now on. Surely the company is paying the price of it's little initiative in the last five or so years, something which a builder like this is not allowed to do much, especially when the others are reacting to every little momentum of the market.